Please take a look around, then contact us for further details about our excavation, grading, commercial site work, and reclamation services. On our web site you will also find information about our our company, projects and employment. 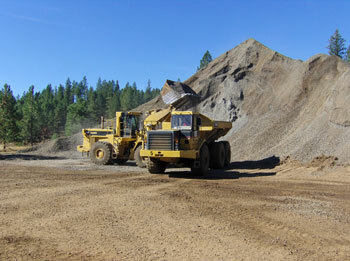 Mass Excavation Services include large volume projects that are more substantial than average commercial jobs. The equipment used for this type of work is much larger than what is required for smaller jobs. Commercial Site Work includes, the preparation of the ground for installation of new buildings, parking lots, parks, etc. this work normally includes excavation, pipe work, grading, and paving. 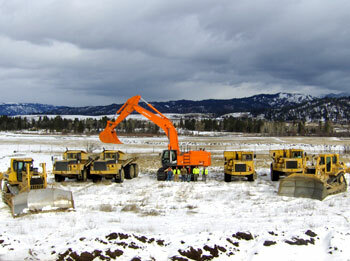 Reclamation Services include the construction of new wetland areas as part of a mitigation plan for new projects. It also includes the clean up of sites that have been left in an un-natural, or damaging state to the environment. Oil Field Services include providing site work and support activities for exploration and production of oil and natural gas projects.